Additional Accelerator 7.0 Awards Announced.For more information, go to the Accelerator Initiative page. ***New*** See updated Q&A from the AB 1111 Stakeholder convenings here. Just added! AB 1111 Stakeholder Webinar is scheduled for March 4, 2019 from 1:00 p.m. to 3:00 p.m. Webinar information will be provided to those who RSVP by 5:00 p.m. on Friday, March 1. Please RSVP here. Just Added!The Labor and Workforce Development Agency, California Workforce Development Board and the Employment Development Department are pleased to announce the availability of up to $1.2 million in Workforce Innovation and Opportunity Act (WIOA) for ELL Co-Enrollment Pilots. These funds will support projects that increase access for target populations, align WIOA programs, implement co-enrollment strategies, leverage other program funding and provide supportive services for California’s English Language Learner (ELL) population. An additional $500,000 is available for services to provide coordinated technical assistance and evaluation. For more information, view the full RFA here. AB1111 Removing Barriers to Employment: Regional Stakeholder Meeting in Imperial County – February 22, 2019 9:00 am – noon. Call in option available. Questions and Answers from the first three AB 1111 Stakeholder Meetings now available. This document will be updated with additional Q&A throughout the month. AB 1111 Stakeholder Meeting Presentation now available. AB1111 San Bernardino Stakeholder Meeting scheduled! The February 11 meeting in San Bernardino will be held at the Carnegie Cultural Center from 9:00 AM – 12:00 PM. See the updated flyer here. RSVP here. Due to the unavoidable short notice for Thursday’s meeting, a call-in line is available for those who cannot make it in person. (510) 739-1015 Passcode 187-731-583# Don’t forget to RSVP HERE. The CWDB with the California Workforce Association will host five regional meetings between January 17 and February 11, 2019. The AB1111: Removing Barriers to Employment initiative is to provide individuals with barriers to employment the services they need to enter, participate in, and complete broader workforce preparation, training, and education programs aligned with regional labor market needs. Those who complete these programs should have the skills and competencies necessary to successfully enter the labor market, retain employment, and earn wages that lead to self-sufficiency, and eventually, economic security. The five regional stakeholder meetings are scheduled to give you an opportunity to learn about the legislation and ask questions about the initiative being developed by the CWDB. For the schedule of meetings, click here. The CWDB announced during the Application Workshop on November 14th, that due to the holidays, the application due date will be extended to Monday, December 10, 2018 by 3PM PST. The extension date is posted along with the RFA on the Accelerator webpage. Request for Applications now available! Workforce in the News: “Old Idea, New Economy”, APM Reports discusses the growing number of Americans who are using apprenticeship as a way into the middle class, read about it here. Extensions for Regional Plan Implementation RFA applications for those impacted by California fires. For those RPU’s with counties impacted by the fires, extensions will be granted. Please submit an email to the State Board requesting an extension including requested date for submitting application. The California Workforce Development Board is pleased to announce that the SlingShot 2.0 Regional Planning Grant Request for Applications is now available. For more information, please see the RFA on the SlingShot initiative page here. The California Workforce Development Board (CWDB) is interested in contracting with a research organization(s) to help evaluate and assess workforce development and related education and human service programs in California. Please see full description here. Letters of Interest are due by 3PM PST on September 14, 2018. For questions and to request detailed information about the contents of the CAAL-Skills data set, email CAALSKILLS@cwdb.ca.gov. CWDB Convenes Climate & Jobs Meetings in Sacramento (July 19-August 8). Please click here for more information. CDCR Secretary Scott Kernan and Governor Jerry Brown discuss the new corrections workforce partnership and prison to employment initiative at the California Prison Industry Authority Sacramento Employer Forum. Workforce Metrics Dashboard – Produced in accordance with AB 2148 (K. Mullin, Chapter 385, Statutes of 2014), this report presents outcome data for exiting participants of five workforce education and training programs for two distinct program years (2012-13 and 2013-14). As the first dashboard report to be released by the CWDB, this document seeks to establish a baseline for presenting workforce data to a public audience. Hilary D. Lentini, 52, of Los Angeles, has been appointed to the California Workforce Development Board. Lentini has been founder and chief executive officer at Lentini Design and Marketing Inc. since 1990. She is immediate past president of the National Association of Women Business Owners, Los Angeles Chapter Board of Directors and president-elect of the National Association of Women Business Owners, California Chapter. This position does not require Senate confirmation and the compensation is $100 per diem. Lentini is a Democrat.Labor and Workforce Development Agency announces record number of apprentices – Click here to read the story. News: Local and State Leaders Recognize the State Workforce Board. Click here to learn more. News: Women at Work: ‘Pre-Apprenticeships’ Boost Female Construction Workers. Click here to learn more. Governor Brown issued a proclamation declaring February 11-17, 2018 as “California Earned Income Tax Credit Awareness Week.” To learn more about Cal EITC, visit their website at CalEITC4me.org. MAKING NEWS: SLINGSHOT: CA Program looks for solutions to skills gap. Click on CA Program hyperlink for details. 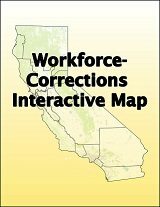 Learn more about California’s Competitive Integrated Employment (CIE) Initiative including links to local resources here. The State Board’s latest policy brief explores emerging best practices and model partnerships for serving Out-Of-School Youth under WIOA and the California WIOA Unified Strategic Workforce Development Plan. Read about it here. 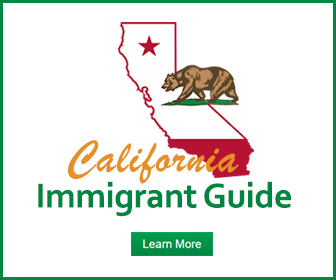 The California Labor Workforce & Development Agency in conjunction with the State Board have released a Policy Brief on best practices to assist locals in delivering services to the English Language Learner (ELL) Population. Building Career Pathways for CalWORKs Participants Using Best Practices and Model Partnerships. Read more about it here. Click on the link. The dates, times and locations of stakeholder planning meetings, listening sessions, or other public meetings related to the planning process can be found here. Established by Executive Order in response to the mandate of the federal Workforce Investment Act (WIA) of 1998 (Public Law 105-220), the Board assists the Governor in setting and guiding policy in the area of workforce development. The California Workforce Development Board (State Board) is responsible for assisting the Governor in performing the duties and responsibilities required by the federal Workforce Innovation and Opportunity Act of 2014. The Board’s Strategic Plan directs its work in providing guidance to the statewide workforce investment system.